The Perth Royal Show, which has been running since 1834, has packed up leaving the thrill of the woodchop, roar of the rides and thousands of show bags in its wake. As one of our State’s most loved annual events, it’s important that West Aussies who would not normally have the means to access the Perth Royal Show are given an opportunity to participate, learn and experience the vital contribution our agricultural sector makes. That is why Lotterywest approved a grant of $1.5 million to support the Royal Agricultural Society of WA’s three year strategy to strengthen and broaden community and volunteer engagement for the iconic Perth Royal Show. 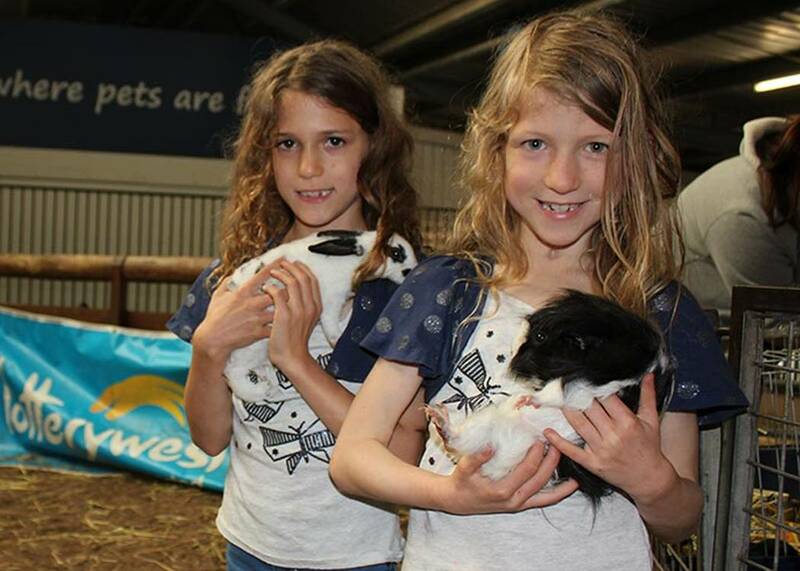 Lotterywest support enabled over 240 families to attend a special VIP hour at the Petstock Nursery held six days of the Show, where children with disability and their families could experience the animals in a safe, and more controlled environment. Lotterywest had the pleasure of joining families, who are members of community group Kalparrin, as they squealed and smiled their way through the barn. Bunbury resident Jess said her daughters Kayla (11), Aurora (9), and seven year old twins Eden and Willow, find attending public events quite difficult as the lights, sounds and crowds are overwhelming. Eden and Willow were born prematurely, with Eden spending numerous months in hospital needing a tracheostomy to breathe and later an airway reconstruction to remove the tracheostomy. In addition to damaged vocal chords and regular surgeries, Kayla has ADHD and a Sensory Processing Disorder. “The girls loved the baby rabbits,” said Jess. Noah (13) who was born with a significant birth defect which has presented physical and developmental challenges, and Isaac (10) who has Tourette’s, visited Petstock Nursery with their mum Hannah, who has stage 4 breast cancer and requires a wheelchair. “The boys appreciated being able to interact with the animals in their own time and with adequate space,” said Hannah. Sean, a warm hearted volunteer with birds perched on his hand, shoulders and head reminded us it’s not just about providing the access for these kids. Carrie Clark, CEO of Kalparrin said that without the support from Lotterywest these children would miss out on this unforgettable experience. “It was such a treat to have a quiet and relaxed space to learn about and interact with the animals,” said Carrie. Since 1992, Lotterywest supported Kalparrin with 10 grants totalling $347,080.